We Will be there in 5 Minutes. We provide Brooklyn car service 24 hours a day, seven days a week. 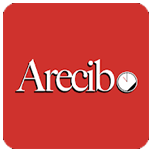 Arecibo is committed to world-class services. We have established a reputation for punctuality and superior customer relation in the tri-state area. Arecibo guarantees to provide you with a professional, courteous chauffeur every time you ride with us. Also, we pride ourselves on providing airport transportation. JFK airport transportation, Newark, LaGuardia, MacArthur and Teterboro airports. Arecibo is committed to world class services. We have established a reputation for punctuality and superior customer relation in the tri-state area. Arecibo guarantees to provide you with a professional, courteous chauffeur every time you ride with us. Also pride ourselves on providing airport transportation. JFK airport transportation, Newark, LaGuardia, MacArthur and Teterboro airports. We listen to your feedback! This is sample content used for demonstrative purposes and will be replaced with actual content at a later time. When creating new content to replace this, be sure to use keywords that are relevant to your industry.